Chalk dots should be perfect with your hexies. They have a lovely soft look to them. Your hexagon flowers are beautiful Ailsa, and the chalk spot is just right! They are lovely. 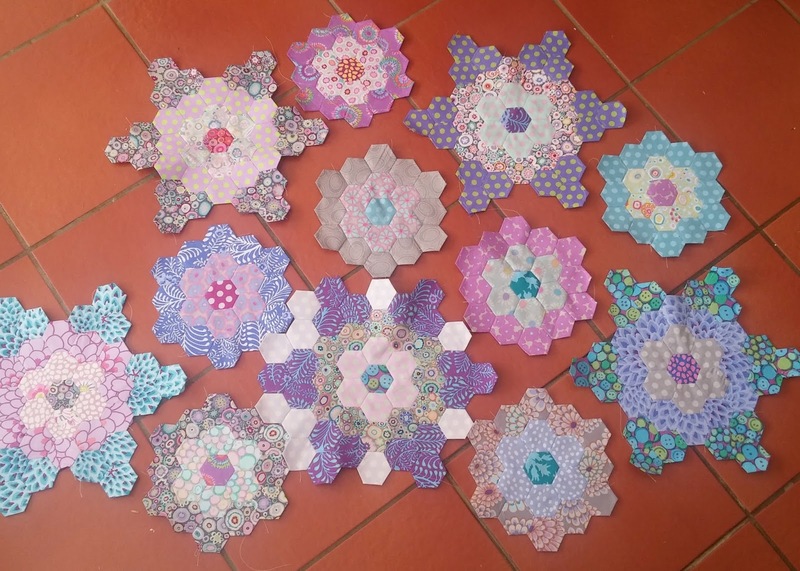 I don't know if I would have the patience paper pieced hexagons, but I love watching other's projects grow. I hope your fabric reinforcements arrive soon! I love your fabrics, such a cute hexie project. Hope postal will hurry up. They're looking wonderful! Chalk dots will make a perfect background.